It’s a wonderful feeling to surprise your man with romantic gifts. It doesn’t even have to be a special occasion. Show him how much you appreciate him by randomly giving him thoughtful presents. You can make anything romantic if you put your heart into it, and your gifts do not have to break the bank. Be creative and he will love your gesture. Giving thoughtful gifts to your man can show him how much you appreciate him. Celebrate the special times you have spent with a picture collage of all the pictures you have taken together. Surprise him with pictures he may have not seen before or has forgotten about. The collage can be an album, a scrapbook or a picture frame he can hang up on the wall. 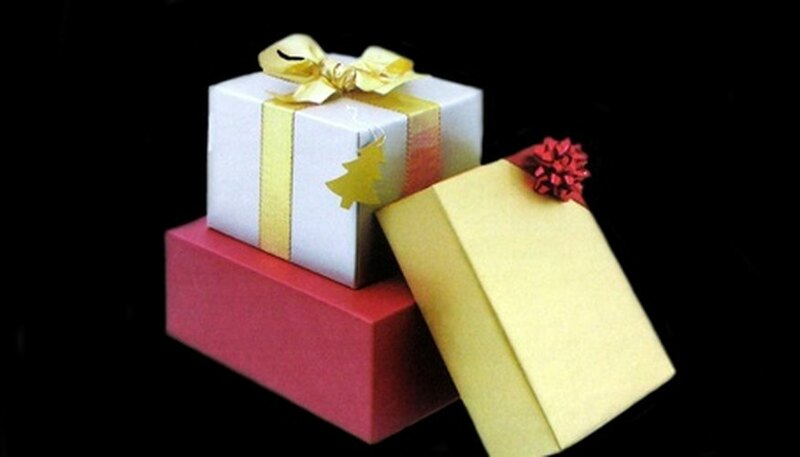 He will love the present because you put so much thought and effort into making it, and you will have fun making this present. Most guys do not like to make a big deal out of their birthdays. But then, all guys love cake so get him a birthday cake with his favorite sports team logo or his favorite cartoon character . Make him his favorite dish before serving the cake, and give him a greeting card with thoughtful message in it. If you would still like to present him with a material gift, pay attention to what he needs--like maybe a new wallet. Say "I love you" with a personalized gift, like a snow globe with a Christmas tree or Santa Clause in it with a message you engrave yourself. You can find small electronic glass engravers in craft stores such as Hobby Lobby or Michaels. Engrave you and your man’s name and draw two hearts to symbolize your relationship and wrap it up. This thoughtful present will surely melt your man's heart on a cold Christmas day. It’s nice to surprise your man with a thoughtful gift when he least expects it too. If he takes his lunch to work, make him a sandwich and wrap it in an aluminum foil. Then, get another aluminum foil and double wrap the sandwich. Write a love message or short poem inside the outer aluminum foil; he will be thinking of you while he is enjoying that delicious sandwich. Smith, Holly. "Romantic Gifts for the Man." Dating Tips - Match.com, https://datingtips.match.com/romantic-gifts-man-7551357.html. Accessed 19 April 2019.